Chuck Talahnvik said "There is NOTHING special in the world. Nothing magic. Just Physics". The Physics Society works to help students explore this magic in an innovative manner. Like every other year, 2015 was an eventful year for the Physics Society. The first event on 14th of August, featured a debate (a rare sight in such a logically complete branch of science such as physics), with students from various classes facing off against each other, while addressing issues both relevant like the success of India's nuclear program and the efficacy of manned spaceflight, to the esoteric like the possible contradictions of science and theism. The participants were filled with informed vigour; enthusiastic arguments flowed from all sides. The finals featuring the debate about the intersection of science and theism included an outpouring of opinion from the audience itself, outlining several interesting fields of thought. The ability of the physics faculty to voice their thoughts effectively was also a pleasure to see. The society organized thought provoking talks and events to introduce students with trending researches and innovation in the field. A talk on “Nano Photonics” by “Dr.Parindavasa”, an alumni of The Jaihind College and is now a professor at IIT Bombay on 27th July 2015. She spoke about various trends and scopes of Nanophotonics first explaining the basics and then its concept. This was followed by visits to Optical & Electronics labs of IIT Bombay on 30th Aug 2015. On 29th Jan 2015, a talk by Prof. Iain Stewart, a Scottish geologist in collaboration with the British Council was organised. Prof. Stewart is a fantastic science communicator, well known for various BBC programs including Earth: The Power of the Planet which was nominated for BAFTA awards etc. He is described as geology's "Rock" star. Last but not the least, the biggest event of Physics society was Phyzex 2015 on 11th November Its our annual intercollegiate science exhibition covered under the title Xplore which includes all science departments. The exhibition was open to all colleges to not only visit but also participate, and we received many interesting projects from renowned colleges like St. Andrew’s college, Bhavans College (Andheri), R D National College, Army Public School, Degree and Junior students of our College. Some of the popular projects included Tesla Coil, DIY Microscopy and Hologram. The response was overwhelming. 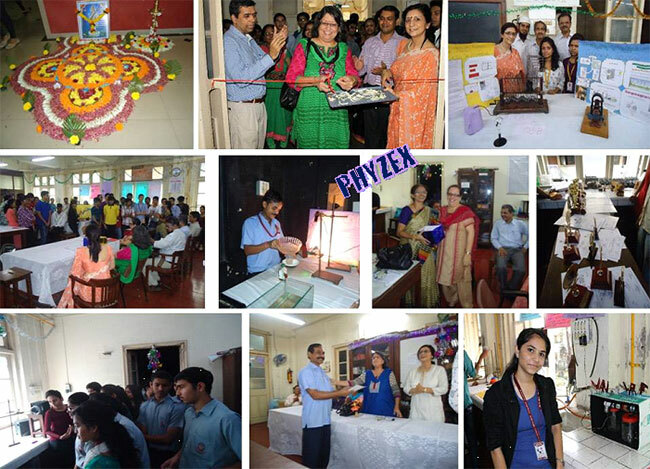 Our respected judges Dr. Vijay pawar from Sidharth college and Dr. A Palekar from National College judged the exhibits. Dr Palekar had an interactive session with us based on Sir Einstein’s work and life. The prize distribution on the following day i.e. 12th August, 2015 had a number of students walking away with prizes and merit certificates for Academic Excellence as well as extra co-curricular activities. Besides, activities conducted in the college premises saw active participation from our students. Students have attended seminars at various research institutes. 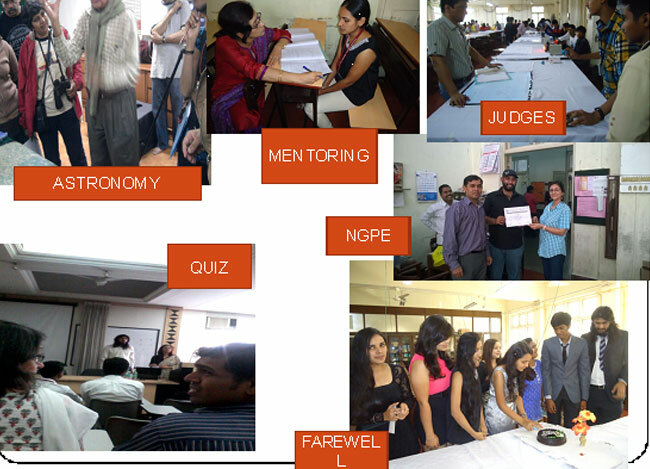 A series of lectures conducted by TIFR, Mumbai got a major response from our students. The topper of NGPE from our college got a chance to visit IIT-Kanpur. The overall experience proved to be an eye opener to what studying physics in a well-equipped institution at high level was like. Two of our students worked as Summer Interns at Tata Institute of Fundamental Research (TIFR), Mumbai in the Department of Condensed Matter Physics. The work included “observing behaviour of objects and their interaction on a fluid-fluid interface, and postulating the stability of n-body arrangements” and “made a wireless power transfer circuit with better efficiency which could transfer a good amount of power and make another circuit”. In Gyan Manthan, an intercollegiate academic festival at Royal College, Mumbai, Cyrus Khan and Ravi Bari won 2nd prize. 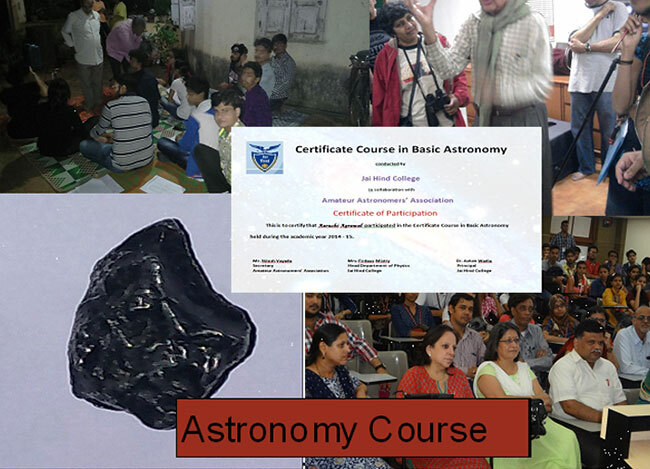 Certificate course in Astronomy was inaugurated on 27th August, 2015 in collaboration with AAA- Amateur Astronomy Association for the second consecutive year. The course comprises of about 5 lectures for duration of 2 hours every Saturday. The two field trips organized helped students to probe into the basics of Astronomy. Lectures by renowned professors like Dr. Paranjay (Director of Nehru Planetarium), Prof Mahesh Shetty covered fascinating topics like Galaxies, Stellar classification, concepts of Supernova and Black hole and so on. The feedback of students was very positive and encouraged by all. All in all, an excellent event by the Physics Society that, though novel in its aim and scope, will surely return to the stage in the near future for another round. 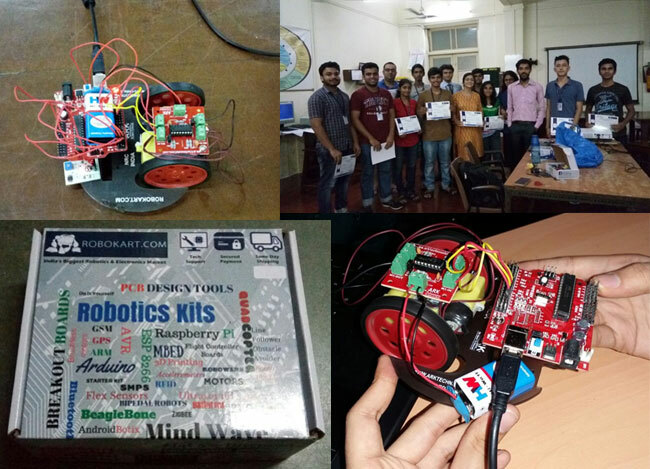 The workshop extended for over two days and was conducted by Mr. Yogesh from Robokart.com. The two day workshop covered the basics of robotic manipulation using Arduino circuit board and a Robotics kit consisting of motors and joints. The class was divided into three groups of 5 students each, each group having a kit consisting of an Arduino circuit board, two motors, a chassis with wheels, joints and preliminary tools to build a robot. The Quiz competition was held by Physics Society on 31st August 2016.It comprised of 31 teams( 2 in each team) out of which 7 teams were shortlisted for finals. The topic for the Debate was “Privatization of space Travel”. 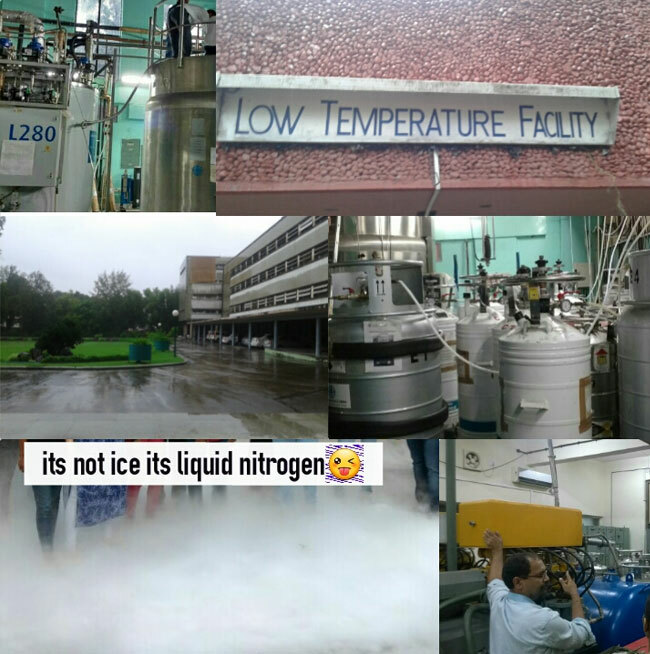 13 SYBSc students undertook a trip to the Low temperature Facility at TIFR on 20th September, 2016.This helped them to understand low temperature Physics by visiting liquification of Helium and Nitrogen plants. They were shown a demonstration of liquid nitrogen for superconductivity. AAA (Bombay) has set up an Astronomy course for the students of Jaihind College in collaboration with the DoP. The course comprises 10 hours of theory and about 22-24 hours of practical sessions. The purpose of the course is to add value to the education provided by the college, and is not intended to generate revenue either for the college, the DoP or AAA (Bombay). The theory sessions are held in the college premises. There are five Saturdays of theory sessions, each lasting two hours. The Celestial Sphere: Properties of the sphere, similarities between terrestrial coordinate system, right ascension and declination, altitude and azimuth, time – sidereal, hour angle, magnitudes and constellations. Instrumentation: Photography, Photometry and Spectroscopy. Solar System I: Formation and planets. The Stars: Formation, life cycle and death, variable stars. The Milky Way Galaxy: How Man discovered the Galaxy, its properties, nebulae, star clusters. The Galaxies: Different types of galaxies, tuning fork diagram etc. Frontiers in Astronomy: Exploration of planets (space missions and colonization of mars), Extra-solar planets, gravity wave astronomy, search for life in the Universe. Every year Jai Hind College hosts the NGPE examination. Last year two students figured in the top 10% at the all India level and were invited for a short course in Basic Physics at IIT Kanpur. This year too, students are enthusiastic about appearing for this exam. "Synthesis and Characterization of ZnO nanoparticles for the study of their Antibacterial activity"
"Effect of Thermal Treatment on Magnetic and Magnetostrictive Properties of TbDyFe2 and its Boron Substituted Pseudobinaries." "Study of antimicrobial property and mechanical strength of metal oxide nano particles embedded in bone cement"
Srushti Tandel secured the first prize in the Intercollegiate Poster competition in FIZIKA 2K16 at K. J. Somaiya College. Aafiya Khan and Shagufta Batliwala secured the first rank in Junkcraft at R. D. National College. Cyrus Khan and Shagufta Batliwala were placed among top 10% in part A of NGPE examination. Shagufta Batliwala successfully completed a short term Course in Basic Physics at IIT, Kanpur.